Queen Suriya's castle is newly hostel which is with good location, canal view side. It is on Samsen Road (Soi 2) which is a Old Thai Government Building around our area,Most of Building,almost 100 years, we're located on an old town call (Rattanakosin Island) which is 230 years of Island. Queen Suriya's castle are offer Thai/Western Food/Bar/Draft Beer/Cocktail(Canal view Restaurant) and Thai Massage/Travel agency/Tours/Transportation and accommodation around Thailand etc. Queen Suriya’s castle have 2 mixed dorms. 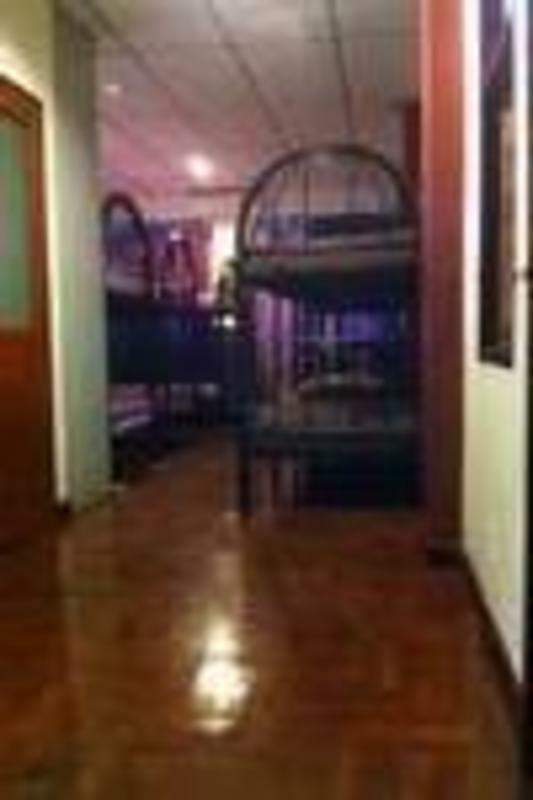 Each dorm room is with 10 beds in room which is with private balcony for smoking (please do not smoking in the room) also we do have common area downstairs for relaxing and meet,every day,we have dairy tours in Bangkok and outside Bangkok/Bicycle tour day and night.Longtail Boat to Floating Market,tiger temple Airport Bus and many more,you can contact our staff. For relaxing,we have Thai Massage and Facial massage,spacial price for our guest/oil massage. Taxi fare about 350 - 450THB/taxi. The airport express train may be a cheaper option at 15- 45THB/pers and the exit station is Phaya Thai from which you will have to take a taxi for 60-70THB/taxi or an ongoing Skytrain to Siam square and then buses 47 or 15 into this area. The bus fare is 7THB/pers and exit station will be on Ratchadamnoen rd. next to Kao San rd. From southern bus terminal: Take bus 516 towards Ratchadamnoen rd next to Kao San rd. From eastern bus terminal: Take the skytrain to National Stadium and/or Siam square and take buses 47 or 15 to Ratchadamnoen rd. Take Chakrapong road and walk towards Phra Sumen road until you hit a traffic light. Cross the traffic light/junction and over bridge, After the bridge you'll see Soi 2 on the right hand side,get in Soi 2 about 50 meter,turn right walking another 20 Meter,we are on the left.